Home arrow_forwardEmail Digest blog • WP Blog Home Page - Main blogarrow_forwardWhere will animal rescue transport be 1 year from now? Be a positive inspiration for animal rescue – you are representing animals’ lives. It’s hard to believe that the year 2018 will shortly be coming to a close. As we look back upon what we have accomplished, we also look forward to the future for animals. Animal rescue transport has come so far in the last year, and we think it will go even further. For those animal rescue transporters that have been working tirelessly for years, even decades…Thank You. You were pioneers in the movement and your efforts paved the way for rescue relay transport and volunteer based local rides to become mainstream concepts for the rest of us to adopt. Our prediction is that 2018 was just the start of the awareness curve when it comes to animal rescue transport. More and more people are recognizing the need to give back and help animals and transport is one of the bright spots in animal rescue allowing organizations to move animals from areas of high supply to those areas where they can be safely adopted into forever homes. 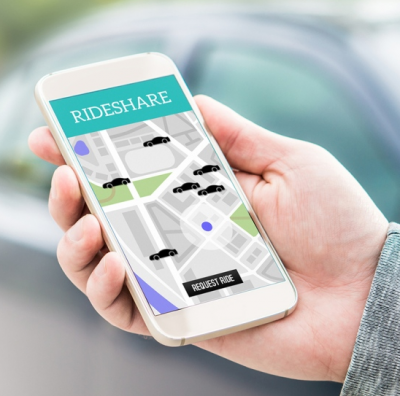 When Uber and Lyft were getting started, only the founders or those in the inner circle of the movement for ride sharing could have ever dreamed that it would transform an industry and revolutionize the way we get around. It’s fair to say that ride-sharing is now mainstream (at least in the U.S.) and we believe that volunteer-based animal rescue transport is not far behind. 2019 will be the year that everyone will be talking about it. Many people assume that all animal rescues and animal shelters across the U.S. are connected and working together towards the same goals. While it is true that all of these organizations are working to improve the welfare and well-being of animals, until recent years there was limited opportunities to work together because practically every community across the country was overflowing with animals. 2018 was a first-step with many new innovations powered by Doobert including the National Supply and Demand map that shows organizations across the country and whether they are able to send or receive animals. Organizations started working more closely together in coalitions like the High Five Virginia program which is transitioning its software platform to Doobert to help even more animals. Our prediction is that a year from now we’ll be talking about how harmonized the animal rescue movement is in the U.S. and how far we have come in the past decades. Yes for you grammar critiques out there we are aware that the words universal and international are somewhat contradictory to one another. But considering we are not sure what the plight of animals looks like on other planets, we’ll focus on our prediction for international awareness around animal rescue transport. 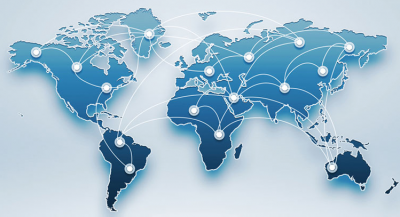 There are definitely organized groups in the U.K., South America and even some in Australia. But we know that technology can reduce the friction and increase the collaborative nature of humans around the world so we’re predicting that 2019 will be the year that animal rescue transport goes global. Doobert is actively working with organizations in Australia and India, and pursuing other organizations in China, looking for opportunities to expand our lifesaving technologies. Sure it will take some time for these activities to go mainstream in every country around the globe, but the idea of saving animals and engaging volunteers in life-saving activities is fast gaining traction in just about every corner of the earth. So there you have it. Three words we expect that will describe animal rescue 1 year from today. What do you think? 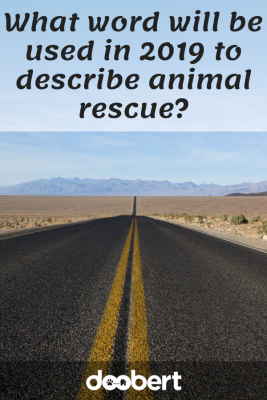 What word will you predict will be used to describe animal rescue in 2019?